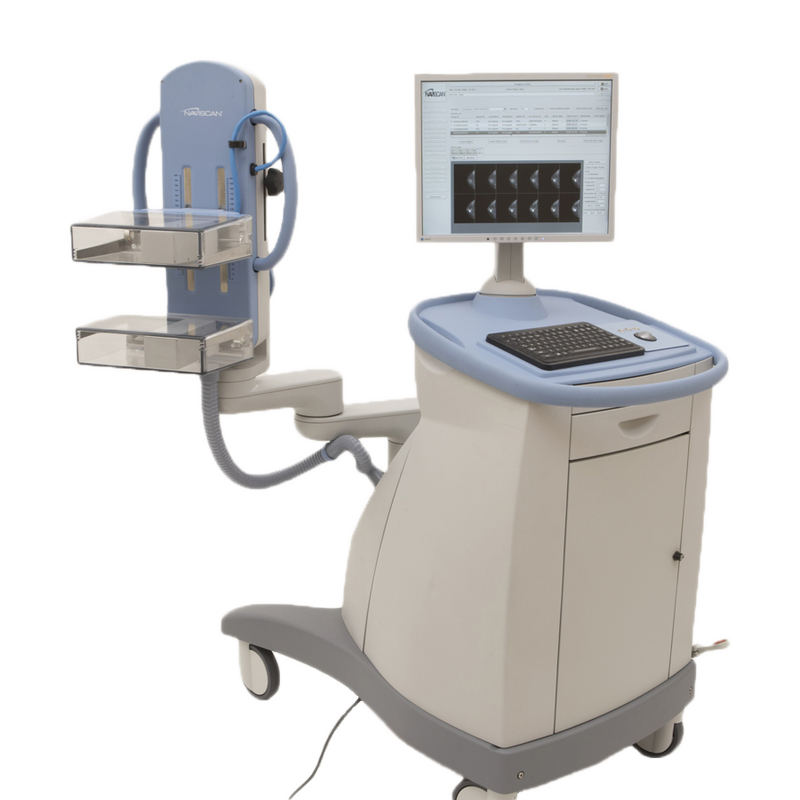 The Solo II™ Breast PET scanner (also called positron emission mammography or PEM) produces high-resolution images, with far more detail than conventional breast imaging. By producing tomographic images of lesions with resolution down to 1.6 mm (approximately the size of a grain of rice), this technology provides valuable clinical data on invasive and non-invasive disease across the continuum of care. From initial staging to ongoing post-surgical disease management, CMR Naviscan’s high-resolution Breast PET Scanner provides a metabolic perspective allowing physicians to provide optimal patient outcomes.